During a meeting with senior propaganda officials, Chinese President Xi Jinping called for a “clean and righteous” internet and the rejection of “vulgar” content. 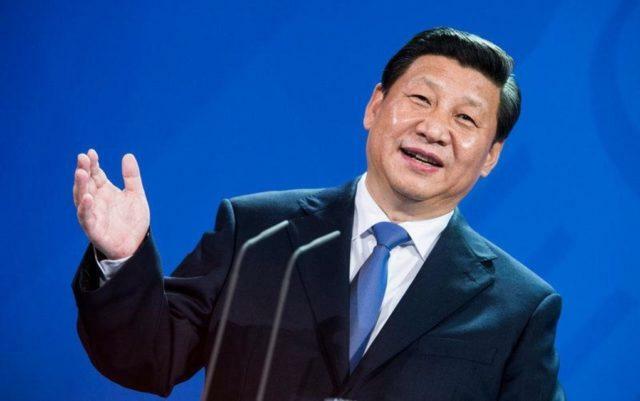 “In order to do a better publicity and ideological work under the new circumstances, Xi underlined holding high the banner of Marxism and socialism with Chinese characteristics,” Xinhua reported Wednesday. As Breitbart’s Frances Martel notes, Xi’s words reflect a years-old policy of censoring political criticism, Western culture, and anything that could lead to Chinese people questioning the wisdom of their leadership. Xi has struggled to contain online criticism, which has grown on social media since he announced an end to presidential term limits in February. Criticism has risen to unprecedented levels on social media following the revelation that a Chinese biotech corporation deliberately sold faulty vaccines, resulting in hundreds of thousands of children being essentially unvaccinated. Xi has also used his power in an attempt to contain the growing popularity of Western culture, particularly rap music and hip-hop culture, which China essentially banned from television in January unless it promotes the Communist Party. The Chinese President’s statements also come at a time when the communist government is engaging in a broader clamp-down targeting online content from live streams and blogs to mobile gaming in an effort to maintain a grip over a large and diverse cultural scene popular with China’s youth online. Xinhua reported in January, citing government data, that China shut as many as 128,000 websites that contained obscene and other “harmful” information in 2017. After Xi came under extensive heat for abolishing presidential term limits, Chinese censors went into overdrive to restrict any speech even mildly criticized the decision over social media. “I don’t agree”, “migration”, “emigration”, “re-election”, “election term”, “constitution amendment”, “constitution rules”, “proclaiming oneself an emperor” and “Winnie the Pooh” – the Xi’s online nickname – were among a host of phrases to be banned on microblogging site Weibo, according to U.S.-based China Digital Times. Weibo restricting the messages users could post, Weibo also banned certain search terms, according to China Digital Times. In contrast, the top ten trending searches on FreeWeibo, a website that offers an unrestricted view of content on the service, all reflected responses to the news. China prohibits its citizens from accessing many foreign news outlets, search engines, and social media.